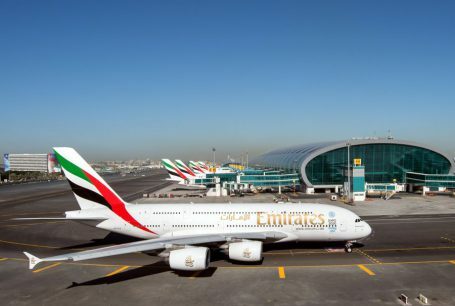 Emirates today announced the start of its Global Sale, offering special deals on both Business Class and Economy flights from Prague to a range of popular destinations for Czech travellers. The special sale includes 8 destinations across Emirates’ global network and must be booked between January 8, 2018 and January 22, 2018for travel between January 15th, 2018 to 30th June, 2018. Travellers in Business Class can travel from April 8th, 2018, whereas the flights need to be booked at least 90 days prior to travel. Different ticket fares apply for Business Class travelers who book their travels less than 90 days prior to travel. For those looking to take their dream holiday or visit loved ones in 2018, make this a year to remember by taking advantage of the sale and booking early. Passengers who fly Emirates can enjoy over 2,500 channels of entertainment, through ice, Emirates’ award-winning inflight entertainment system. Choose from the latest films, television programmes, kids’ channels, music and games. Passengers across all cabins can enjoy a variety of fine wines and regionally inspired cuisine prepared using fresh ingredients and served by airline’s multi-cultural cabin crew. Emirates also offers passengers a generous baggage allowance of up to 35kg in Economy, 40kg in Business and 50kg in First Class. To book your next flight with Emirates contact your local travel agent, call the Emirates booking line on +420 239 016 320 or visit www.emirates.com. customers and exceeding passengers’ expectations, the airline added further new routes, including Phnom Penh in Cambodia and Zagreb in Croatia, to its global network. Further accomplishments in 2017 included recognition as the Best Airline in the World at the inaugural TripAdvisor Travellers’ Choice Awards for Airlines and picking up a further four awards at the 2017 Business Traveller Awards; two at the prestigious ULTRAS 2017 Awards; Passenger choice award for Best Entertainment at the 2017 APEX Passenger Choice Awards and World’s Best Inflight Entertainment award for a record 13th year at the Skytrax World Airline Awards 2017. Emirates will continue its expansion plans in the coming years – ordering 40 new Boeing 787 Dreamliners in November 2017 and further expanding its growing network through a strategic partnership with Dubai-based carrier flydubai.